Objective: Students will learn and apply the formula to find the area of circles. CCSS.Math.Content.7.G.B.4: Know the formulas for the area and circumference of a circle and use them to solve problems; give an informal derivation of the relationship between the circumference and area of a circle. Previous skills: Students should be familiar with identifying and finding the radius and diameter of circles. Give students copies of local pizza ads, and ask them to locate the sizes of the pizzas listed in the ads. For example, large pizzas might be 16", small pizzas might be 12", and so on. List sizes of different pizzas on the board, and lead the class in a brief discussion as to what those measurements actually mean. Students should reach the conclusion that the sizes listed in the ads are actually the length of the diameters of each size pizza. Discuss what methods can be used to find the actual sizes of the whole pizzas. Guide students in drawing replicas of the smallest sizes of pizza listed in the ads. Demonstrate briefly how to set the compass for the radius, and assist students in using the compasses to draw their “pizzas" on the large pieces of paper. Show your students how to draw one inch squares on the pizzas, beginning with the diameter of the circle and measuring out a grid with lines spaced one inch apart until the entire circle is covered with the grid. Students will make their own grids over their circles, and count up as many of the squares as they can to estimate the area of the circle. Encourage students to count up fractions of squares to the best of their ability to include in their estimates. After a brief discussion in which students share their estimates of the area of the circles, invite students to explain the advantages and disadvantages of using such a method to find the area of their pizzas. Write the formula for the area of a circle on the board, and explain to students that they will be using this formula to get more accurate measurements of the area of their pizzas. Demonstrate to students how to use the formula, and guide them through a few computations of sample pizza sizes. Because the sizes of pizzas are given in diameter, you may want to explain to students that they will need to divide their diameters in half to find the radius, so that they can plug those numbers into the formula. Ask students to circle a minimum of five pizza sizes from the ads, and list the diameters in a chart. Students will then find the radius based on each diameter, and plug the radius into the formula for area of a circle. A sample chart is shown above. As students work, circulate to check that they understand the concept of using a formula to find the area of a circle. Students can peer-check their tables for accuracy after completing them. Assessment: Collect students’ charts to check that the formula was used correctly to find the area of each pizza. 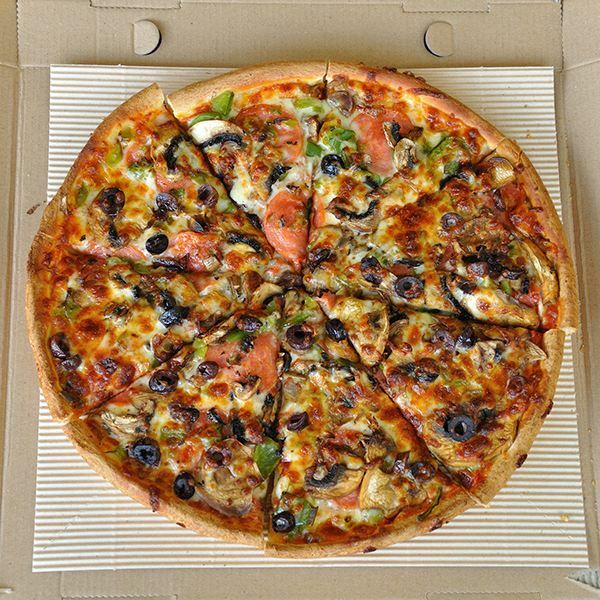 Extension: To connect this concept with other areas of math skills, you may want to ask students to use the process for finding unit rate to determine the actual cost per square inch of pizza for each of the five pizzas listed in their charts. Using the cost per square inch, students can then determine which pizza company offers the lowest price per square inch.